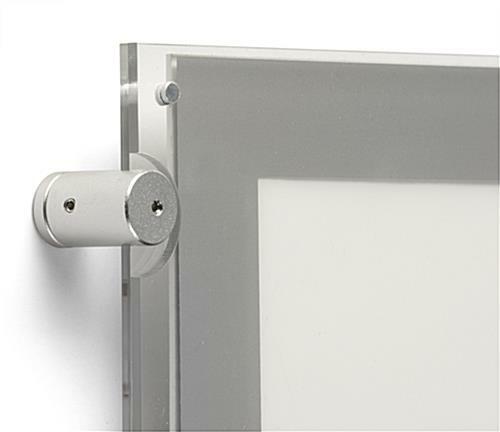 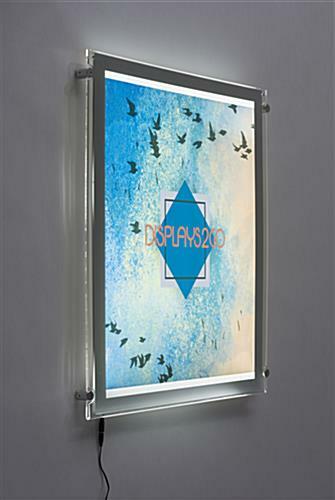 These lightboxes for indoor mounting is shipped with hardware for hanging on a wall. 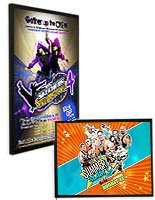 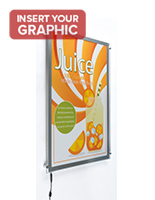 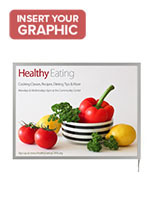 Sized 18" x 24" for advertising in restaurants, movie theaters, bars, and stores, this energy efficient signage has a slim profile and four silver sign standoffs, or "button magnets," securing contents poster tightly so it won't slip; the sign actually appears to be floating. 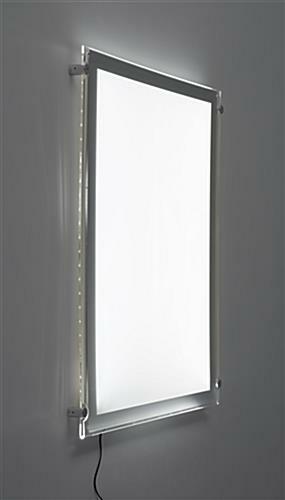 Energy efficient Diode bulb technology averages 3,000+ LUX, requiring no warmup time and throwing a uniform, lovely light. 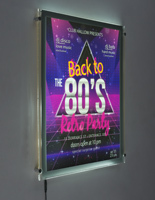 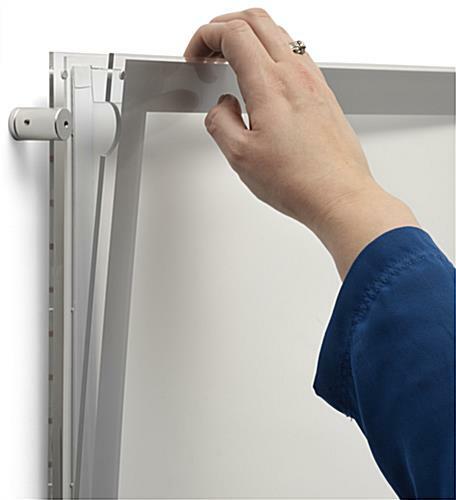 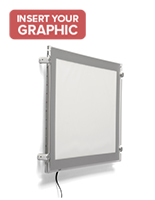 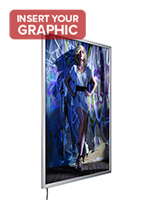 These lightboxes for indoor mounting large-scale posters come with a 60" cord that gets plugged into the wall. 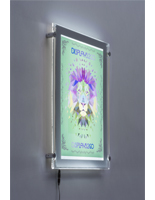 This display is closed on the bottom and open on top. 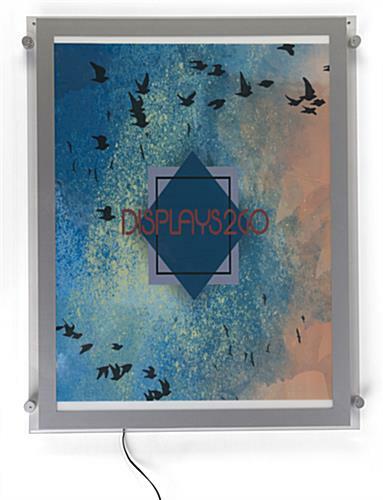 21.5" x 27.0" x 1.3"